Posted by Cora Hall on February 8, 2019 in News. The trial date for former Ferris hockey goaltender Darren Smith has been moved to April 9, when a four-day jury trial is expected. Smith was arraigned on three felony counts of first-degree criminal sexual misconduct in the Mecosta County District Court in July 2018. The assault was reported to have happened in the late hours of the night July 7. The alleged victim is a Ferris student and her name is being kept anonymous in the interest of protecting her privacy. According to court records, the trial was originally scheduled for Tuesday, Feb. 12, but was pushed back to April for undisclosed reasons. Smith has remained free on bond and restricted by a GPS tether since his arraignment, apart from two weeks in October when he resided in the Mecosta County Jail for allegedly violating the terms of his bail. 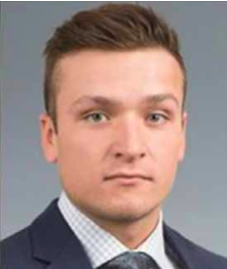 Since his arraignment, Smith was removed from the Ferris ice hockey roster and is no longer enrolled at the university.